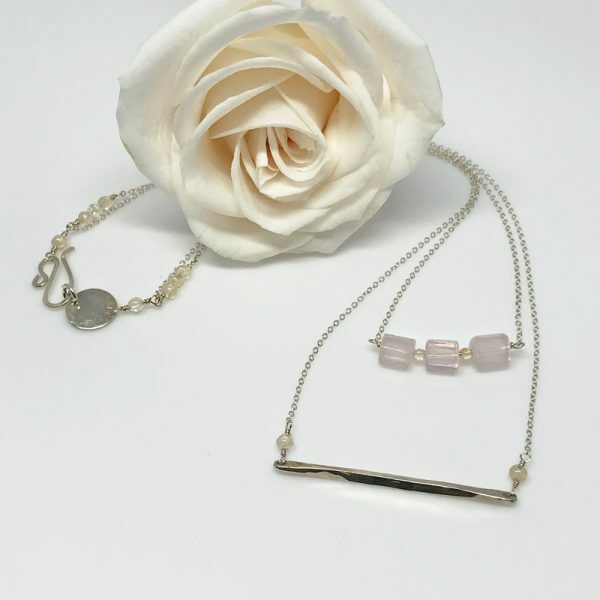 Softly hued rose quartz and citrine gemstones paired with beautifully polished silver, what could be better. Double layered rose quartz necklace set. 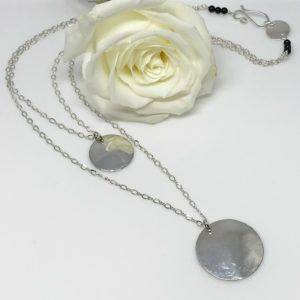 Beauty simplified in this double layered gemstone and silver necklace. Never again stress over which of your pieces to layer. Strung between delicate strands of Argentium silver chain are three sided rose quartz stones. 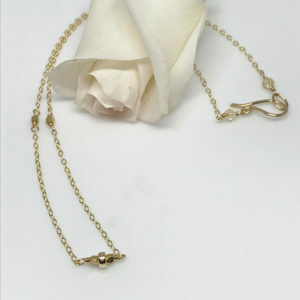 This is the shorter necklace. Separating the quartz are lightly colored citrine gemstones. Not only are these stones somewhat transparent but they’re softly hued and quite pretty. 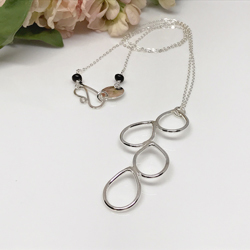 The second necklace, which is longer, is a horizontal bar. Both bar and clasp are hand cut and formed. Moreover, both have been polished to a very high sheen. 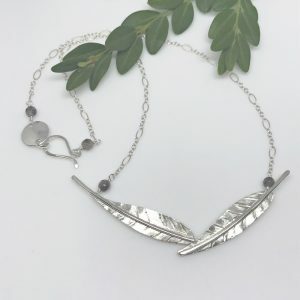 If you prefer, this layered necklace is also available with softly hued aquamarine and citrine gemstones or gorgeous labradorite and amethyst stones.